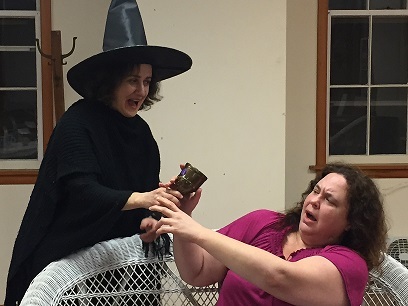 This Fall, Iron Mountain will be presenting The Witch In 204 by Barbara Pease Weber on Saturday October 29 at 8:00 PM, Sunday October 30 at 2:00 PM, Friday November 4 and Saturday November 5 at 8:00 PM, and Sunday November 6 at 2:00 PM. Just in time for Halloween, the play is a comedy set in southern New Jersey and is actually a sequel to another of Ms. Weber’s plays, Seniors Of The Sahara, which Iron Mountain presented in 2011. In fact, this is the fifth play by Ms. Weber, who lives in the Delaware Valley area of Pennsylvania, that Iron Mountain has performed, and Ms. Weber has attended all of them so far!! The play is directed by longtime Ringwood resident, Jill McDonald, with Maryjane Santalla from Little Falls as stage manager. The cast includes Lorraine Davidson and Corrinne DiGiacinto, both from Ringwood; Sue Klein from Wanaque; Elisa Tornow and Glenn Wenzel from West Milford; Patiricia Baran-McNair from Oak Ridge; Alyson Wood from Montclair and John Santalla from Little Falls. Tickets will be available at the door for $15 and $12 for students, seniors and Weis Center members. To make reservations, or for more information, call Iron Mountain Stage Company at 973-962-9007. 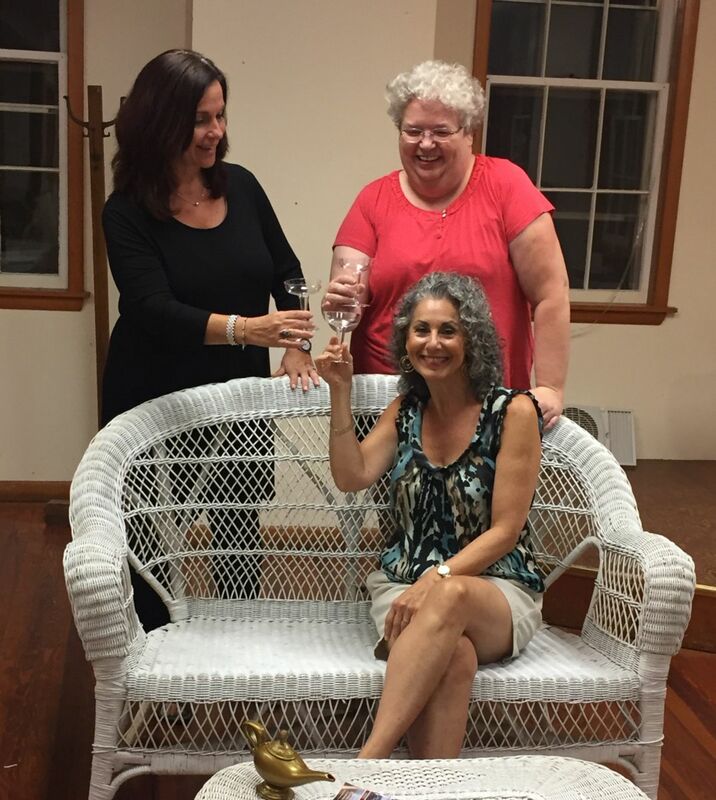 Sue Klein, Lorraine Davidson and Corrinne DiGiacinto. Copyright © 2016 Iron Mountain Stage Company. All Rights Reserved.